Fiberglass cloth/epoxy and marine plywood on pine frame powered by 30hp Suzuki. During construction of interior we added mahogany rail caps and a front anchor locker with seat and hardware. 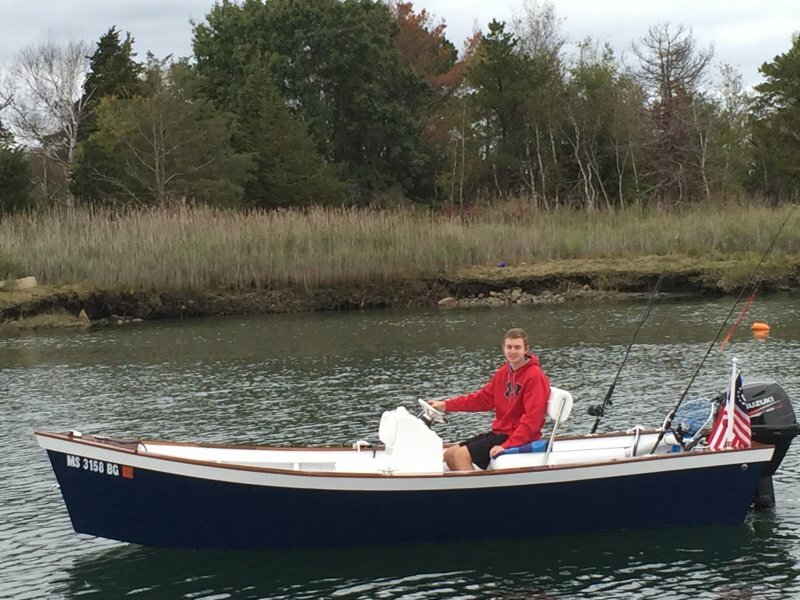 It was our first boat build and we intend to explore the coast of Massachusetts Bay, fishing and enjoying being on the water.